Luis Ibáñez works as Software Engineer at Google Inc in New York city. Opinions expressed in this site are his own. He previouly worked as a Technical Leader at Kitware Inc., and Director of Open Source Community Development at the Open Source EHR Agent (OSEHRA). At Kitware he was closely involved in the development of open source software for medical imaging applications, in particular, working with the Insight Toolkit (ITK). Luis is a strong supporter of Open Access, and one of the editors of the Insight Journal, an OA Journal that enforces the verification of reproducibility. In collaboration with other instructors, Luis has been teaching a course on Open Source Software Practices at the Rensselaer Politechnic Institute (RPI) between 2007 and 2013, and also at the State University of New York at Albany between 2011 and 2014. Luis Ibáñez received a B.S. in Physics from the Universidad Industrial de Santander (Bucaramanga, Colombia) in 1989 and a M.S. in Optics from the same university in 1994. He received a D.E.A and Ph.D. degrees from the Universite de Rennes I (Rennes, France) in 1995 and 2000, respectively. In 1999, Luis Ibáñez joined the Division of Neurosurgery of the University of North Carolina at Chapel Hill and participated as a member of the MIDAG and CADDLab groups. His work at UNC was related to the development of algorithms for 2 and 3D registration applied to image guided surgery. He also participated as developer of the INSIGHT Registration and Segmentation Toolkit sponsored by the National Library of Medicine. 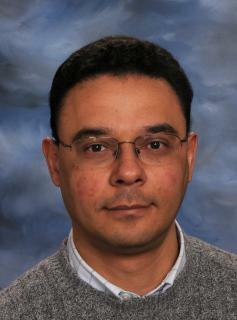 Luis Ibáñez joined Kitware, Inc. in February 2002 where he was one of the main developers of the Insight Toolkit (ITK) coordinating its maintenance with other developers and the user community; he is also one of the main developers of the Image Guided Surgery Toolkit (IGSTK) and participated in crafting the operational principles of the Insight Journal. In August 2014, Luis joined Google Inc as Software Engineer, to work with the corporate engineering team in New York city.